Loops and Thread t shirt yarn was at Michael's last year for a while, but I didn't want to pay $6.99 a skein, not knowing what I was going to use it for. When Michael's had a clearance on this yarn for $2.99, I finally broke down and bought 4 skeins of the only color left, yellow and white. 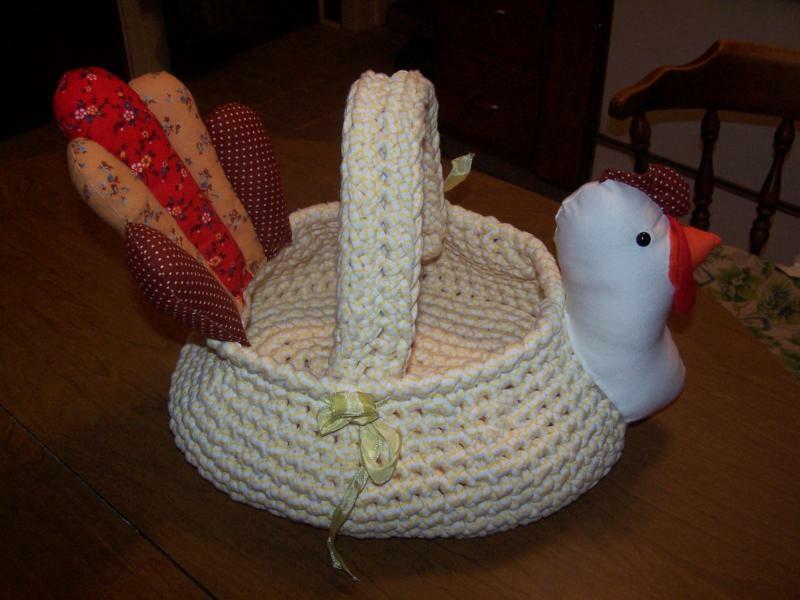 I decided to make a basket from a pattern I had gotten as a gift a while ago- McCall's Crafts pattern 6610, but the pattern uses actual t shirts cut up and made into yarn and uses a bigger hook. The crocheted pattern also was too convoluted for me to figure out, so I winged it, doubling my yarn and using a P(11.5mm) hook. The base measures 9" by 13" and it is 5" high. 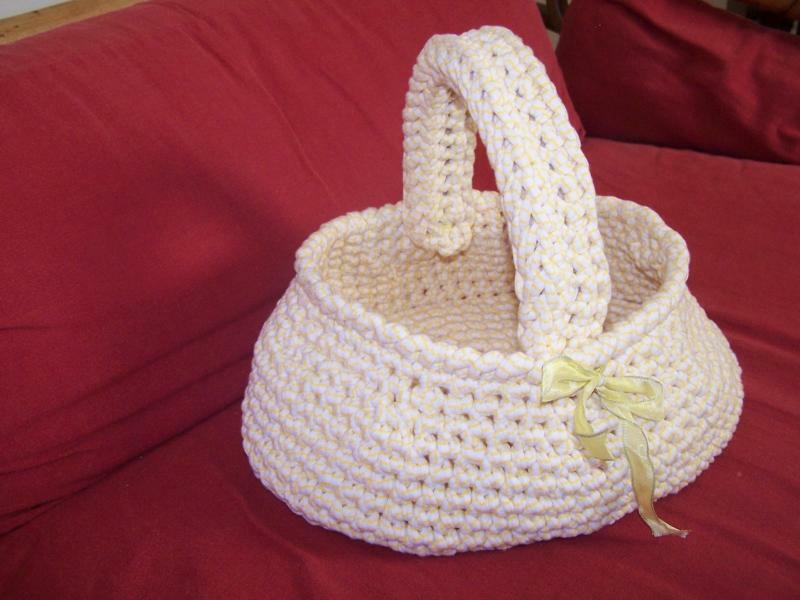 The handle is removable because it is attached by tieing ribbon bows to the basket sides. That is cute. You did a good job of making it all work out. That is adorable. I love the tail and the head. What a conversation piece for the table. Love it. You did a fine job figuring that one out. Thanks for the nice comments, everyone. I have a little of this yarn left to make a nice potholder. well that works!! Great job, love it!